As far as playgrounds go, Sydney has some of the best. Interactive equipment, elements of surprise and modern design all come together to create a space where your kids can burn some energy and stretch their imaginations. Check out our picks for the four best new playgrounds to visit in Sydney with kids when you’re staying nearby. Wulaba Park is located close to Amelia Street off Green Square and it’s still quite new, having only opened in April 2016. Artists and landscape architects have worked together to design a multi-coloured and multi-levelled world of wonder for your kids to explore, featuring tunnels, swings, nets and a climbing tower. Most exciting of all is the three-storey metal slide, designed for thrill-seeking kidlets of five years and older. Let’s just say that the brand-new Bungarribee Park is seriously epic. Kids can navigate the huge sand pit, climb the tower that’s a work of modern art in itself, zoom along the flying fox and pump water to stay cool on warm days. Large areas of the playground are refreshingly shaded so little ones can safely focus on playing. Nearby, you also have barbecues, a large off-leash dog area and wetlands to explore. Close to Tumbalong Park you’ll find the new Darling Harbour playground where kids of every age will be thoroughly enthralled. There’s a 21-metre flying fox; a huge circular swing; a water play area with pumps and buckets, ginormous steel slides and tightrope-style balancing ropes. At the centre of it all sits the towering ten-metre tall Octanet – a true mental and physical challenge, even for the big kids. Parramatta Park has become home to a third and seriously impressive new playground. Domain Creek playground offers an incredible bush setting where kids can clamber across sculpture-lined walkways to discover each new piece of equipment. A rope ladder leads up to an enveloping slippery dip; a horizontal climbing frame tests out kids’ coordination; while over in the sand pit, they can drive water pumps and sand diggers to their hearts’ content. Warning: you may be tempted to join in on the fun! Wondering where to where to stay in Sydney with the kids? 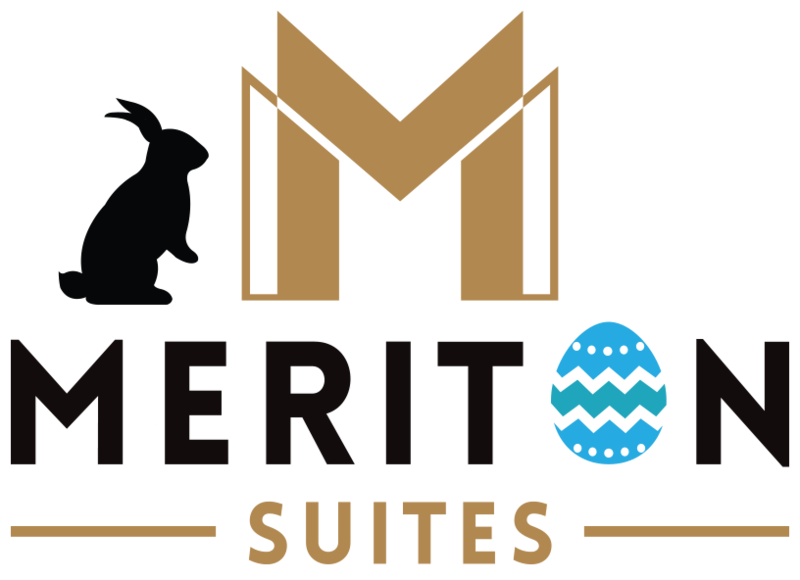 Why not reserve a great-value 2 or 3 bedroom suite in Sydney’s CBD with Meriton Suites? The kids can have their own space along with flat screen TVs in every room, while the spectacular views and oversized living spaces will keep everyone content.